And both the players are trying to rope in new customers with value-for-money offerings. Yum! Brands, which operates over 431 Pizza Hut, over 395 KFC and 7 Taco Bell outlets in India, clocked 11 per cent year on year dip in same store sales (SSG) in Q1CY15 on a low base (1 per cent YoY dip in Q1CY14, Q4CY14 SSG had dipped 10 per cent YoY on base of 4 per cent YoY dip), said a report by Edelweiss. The second consecutive dip in SSG is attributable to promotions coming in base quarters. However, its competitor Jubilant Foodworks (JFL) is expected to report 2.0 per cent YoY SSG in Q4FY15 on a low base of 3.4 per cent YoY decline (1.9 per cent YoY in Q3FY15 on base of 2.6 per cent YoY decline). The earlier trend of narrowing of the SSSG gap between the two competitors has now begun to reverse in favour of JFL. The QSR space has yet to witness any material improvement in demand, though there has been some sanity in competition with Buy One Get One (BOGO) offers being replaced by 20-25 per cent off on bill value. While the industry expect JFL’s SSG to remain challenging over the medium term, it is likely to gradually recover in FY16. The JFL stock has fallen 18 per cent from peak and is likely to outperform with prices of key raw materials (cheese, chicken) amongst other. Yum! Brands’ India division’s sales growth slowed down sharply to mere 1 per cent year on year (6 per cent YoY in Q4CY14, 21 per cent YoY in Q1CY14). However, Pizza Hut home service stores jumped 38 per cent YoY due to continued sharpened emphasis on the delivery model (up 40 per cent in Q4CY14, 55 per cent in Q3CY14), a key concern for JFL. Yum! Brands posted operating loss of USD4mn (loss of USD3mn in Q1CY14, loss of USD9mn in CY14). The company, surprisingly, did not add any new store during the quarter (added 97, 22, 7 and 3 stores in Q4CY14, Q3CY14, Q2CY14 and Q1CY14, respectively). The competitive intensity between the two dominant players in the pizza space, Pizza Hut and Dominos, has moderated slightly in the past few months. 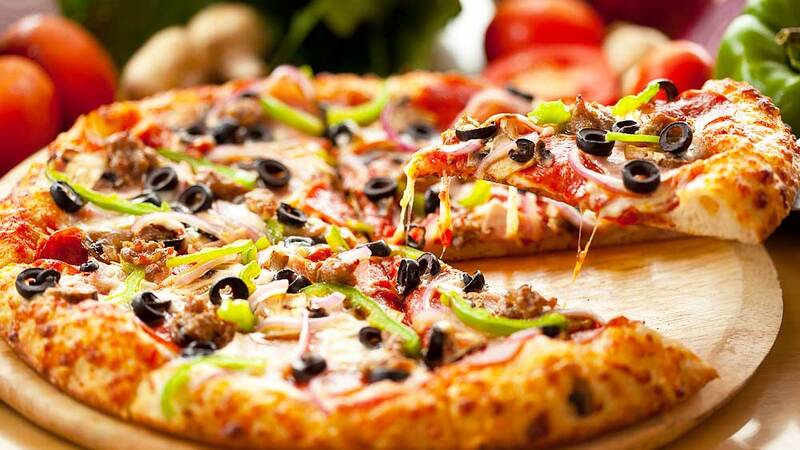 Prices of key raw materials, primarily cheese and chicken, too have been benign, which bodes well for pizza players’ margins; some improvement herein could be routed to heightened promotional activity to revive SSG amidst benign consumer sentiments. Pizza Hut recently launched a unique offer – Unlimited pizza party @INR199 (for veg) and INR249 (for non veg) in Delhi / NCR and Kolkotta and @INR239 and INR299 (for non veg) in Mumbai, Pune and Bangalore. This offer was valid only for one particular date, at select outlets and not advertised on mass media but to targeted audience through Facebook (people who have previously liked Pizza hut pages have been communicated about this offer). Not only this, the customers were asked to upload their fun pictures, of which 5 best will be rewarded free pizza for the entire year (i.e., 1 free pizza every month). Another offer running is 20 per cent off on bill value of INR 399. Also, Dominos, which earlier offered BOGO on a selected weekday, is using 20 per cent off as a promotional offer. This reflects some sanity in promotions in the pizza space. However, both the players are trying to rope in new customers with value-for-money offerings. How traditional design is being replaced by Indust..